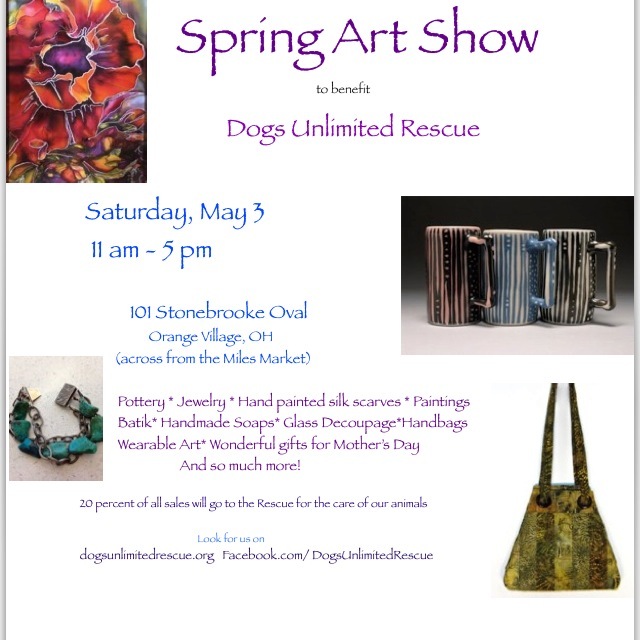 That said, a small group of artists have gathered together to offer a unique trunk show with beautiful wearable art, exquisite pottery, jewelry and ofcourse we are bringing our soap and silk. The venue is a beautiful condo in Orange Village very close to the Miles Market. We will be contributing 20% of our sales to this fine organization. Hope you can stop out and visit.